Let's Save Nature with Music. 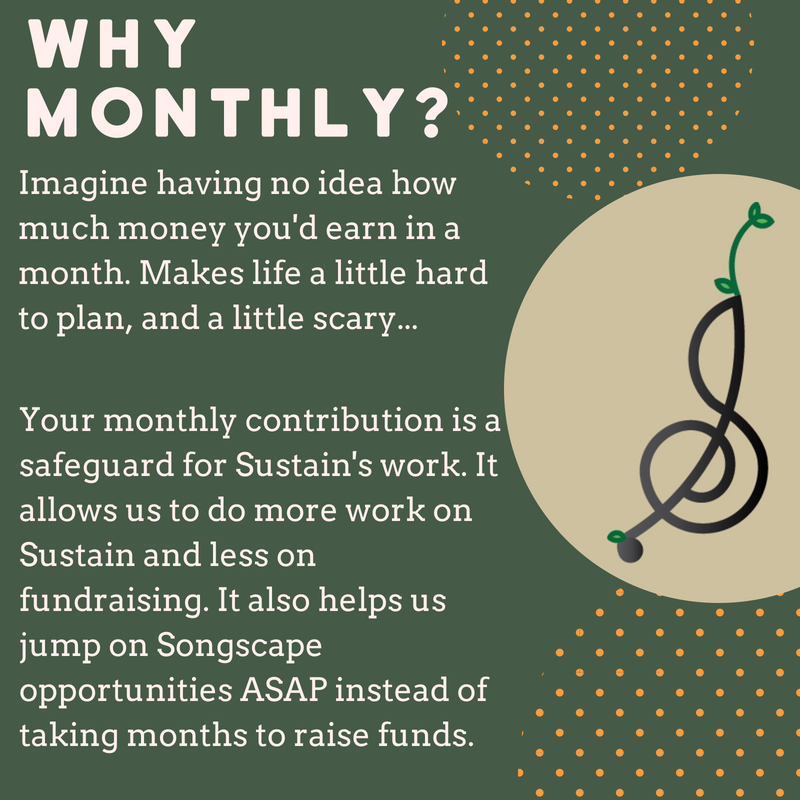 Sustainers are a community of passionate people committed to protecting the environment through music. Invest in greener music and a cultural movement to generate new fans for public lands. Your $20 monthly donation exposes 20,857 people to a Songscape! In a year, your donation alone helps us reach a quarter million new public land fans through Songscapes. For every 30 donors donating $20/month, we can fund one Songscape. Once you join, we'll invite you to the private Sustainer Facebook Community, where you'll get exclusive content, invitations to events (including Songscape parties!) and the opportunity to help us plan our next Songscapes! Sustain Music & Nature is a trusted nonprofit with a Gold rating on Guidestar!